The Pangu team has just announced via Twitter that users who’ve jailbroken using Pangu8 1.0 can go ahead and install Cydia directly from the Pangu app itself. Given that Pangu 1.1 is set to arrive shortly – a release that will inject Cydia as part of the jailbreaking process – those who’ve waited so long for a simpler set of steps finally have their wish, and if you don’t want to wait for the next major installment of Pangu, you can instead pluck Cydia 1.1.14 from the current version. Today has, by all accounts, been a pretty busy day for the world of jailbreaking. Saurik first rolled out a new version of Cydia Substrate, before then unveiling a major new version of Cydia that has brought an abundance of new fixes and features to the fore. 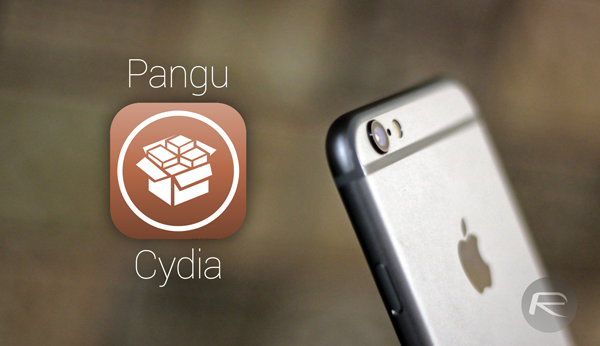 Among them, the niggling Passcode issue – which required all jailbreakers on iOS 8 to disable the security feature – has been remedied, and as you might already have gathered, Pangu will indeed install this brand new edition of Cydia directly from the app. Installing Cydia, if you’re already jailbroken, is a much simpler and a whole lot less tedious process that is sure to entice a few more would-be jailbreakers to take the plunge, although if you’re really not feeling brave enough, you could always wait for the aforementioned Pangu 1.1 update headed in just a few hours. So, with support for the English language and a more seamless, familiar jailbreaking process in the offing, perhaps waiting it out is the more desirable option, but if you have been eager to explore the world of tweaks for your iOS 8 iPhone, iPad or iPod touch, then the easiest way to go right now is the Pangu jailbreak followed by the in-app installation of Cydia. i downloaded Pangu from windows, on my iphone4 all of my main applications deleted eg photos phone texts so i want to tell you to NEVER use Pangu or Cydia again.